On a recent trip I was looking at a store and saw this dongle that was billed as make any TV a smart TV. So I looked at it and it looked like a large flash drive with Android as the operating system. So it was $47 so I decided to give it a try and purchased it. Well when I got back to the hotel I plugged it in and it had Android 4.2.2 on it and needed some kind of input device hooked to it so you could control it. All in all I thought it worked really well and that I would now use this as my traveling media center because most TVs these days have a HDMI port and I could watch moves, listen to music, and even surf the internet if I wanted to. All in all I liked it. So I decided to dig into the device hardware and what I could do with it. 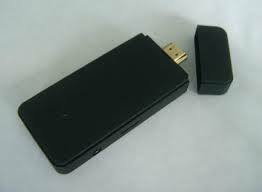 The device I bought was an AVOL UAD2842 Android TV dongle. 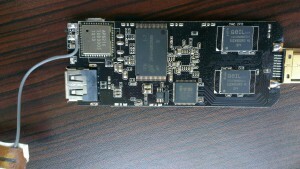 It uses Nexeon board and it turns out these are used in a lot of these devices. The full specs are below. Now the specs can be different depending on your device but both of mine had these specs. Just as a note insure you now the exact specs of you device before you start trying new ROMs. I bought one to use and the one to tinker with. I opened the one I use and the installed new ROMs on the other one. Well after several attempts and ROMs that are suppose to work on these specs I took the other one apart and found it had a different WiFi card. So just make sure you now what hardware you have. So I found some Android 4.4.2 ROMs for similar devices with the same chip set and started researching. So to make a long story short chances are you will not find a perfect ROM for your device but you will find tons that may work. So I downloaded about 12 different ROMs and flashed each one. I only had one that all the hardware worked but the ROM was really laggy on my device. So here are some of the tools you will need. 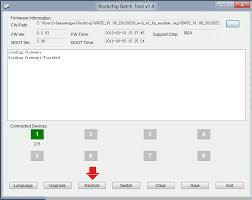 A Rockchip flash tool or one for the chip set you have. Know how to boot your system into download or flash mode. Drivers for the computer you will be flashing from. First thing you have to do is install the usb drivers so the system can read the device. Mine is a Rockchip based system so I installed the 64bit ones to go with my 64bit laptop. Once that was completed the dongle has a reset button that you will use to put the device in the right mode. You plug in the one end of the USB cable and then hold in the button and plug in the other end of the USB. Then computer should pick up the device, if not you may need to try the process again or reinstall the drivers. Once the computer recognizes the device you can open the flash tool. I use RKFirmwareTool version 1.34. There are several versions so use which one works for you. The you select the ROM to flash and select restore. Once it is done plug it into the TV and see how it works. Below are some pics of the flash tool. After I tested about 12 ROMs I started looking a Linux for the device. I also found several ROMs that were Dedian based. I was a Linux administrator for a few years so I now my way around a console and thought it would be cool to see how it worked. I found some ROMs at Radexa and they have several Android and Linux ROMs. I used the exact same tools to flash Ubuntu to the Nand on the device. It worked well but I couldn’t get the graphics to work quit right. Another great thing is the ability to boot Linux from you SDcard. So if you don’t want to remove you Android you can just prep a MicroSD card to accomplish the same thing. I found that the Lubuntu image I got from Radexa worked really well when I ran it from the SDcard. The WiFi didn’t work but I only played with it for about 30 minutes. Here are some pics of Linux on the device. So once I get back home I am going to try and get a USB Ethernet device to work so I can work on fixing the WiFi. I sure beats going out and downloading stuff and trying to get it uploaded through USB or SDcard. For the most part though these devices work really well for a media center device. I installed several of my favorite Android apps and I have been listening to music, watching movies, and even checking the status of my network with this device. Once I have a wireless keyboard to plug into it I believe it will be worth every penny I paid. I also have a small remote that works like a Wii mote and has a qwerty keyboard on the other side. This will make the device family room ready for the kids to use. So if you want to make your TV do a little more than watch shows you may want to pick one of these devices up. Below will be some links to firmwares and names of devices that you can look for. I really like the device and I use it everyday. If you have any questions feel free to leaves a comment and remember that if you decide to change your firmware you always do it at your own risk. So I have the same AVOL tv dongle and am new to ROM but a quick study. To save me some time which ROM worked for you? Or if you can tell me where to find the 12 ones you used that would be awesome.